Adelaide , Dec 4: Australia ended the third day at 53/4, taking their overall lead to 268 runs against England in the second Ashes Test at the Adelaide Oval here on Monday. In testing batting conditions the Australian batsmen struggled against the moving ball in the final twilight session here, as England roared back after trailing by 215 runs in the first innings, according to the International Cricket Council (ICC) website. England had been bowled out for 227, but with the ball moving considerably under lights, the visiting side had reduced Australia to 53/4 by stumps. Peter Handscomb was batting on three, as was nightwatchman Nathan Lyon. Australia lost Cameron Bancroft (4) and Usman Khawaja (20) to James Anderson and a restrained David Warner (14) to Chris Woakes in the final session. Skipper Steven Smith survived a close leg before wicket review before he had scored, off Anderson, but was not so lucky when he missed out in another tight lbw review to Woakes for six. 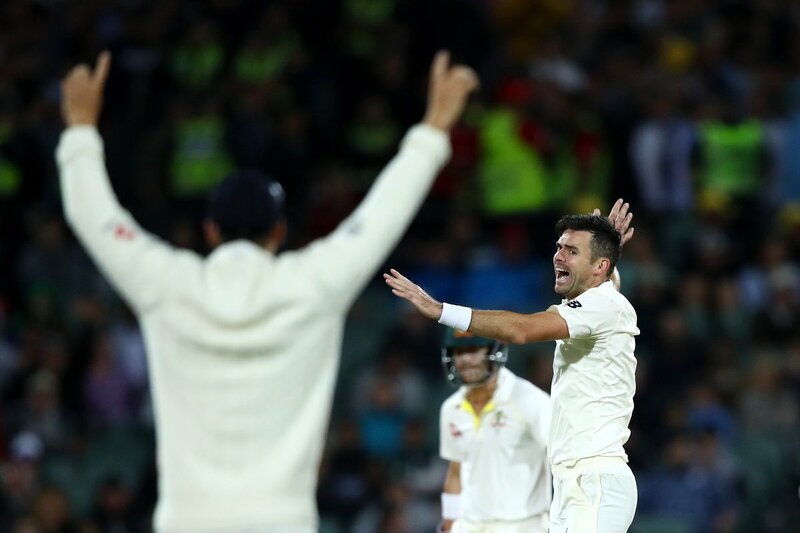 The current Ashes holder England was fighting to stay in the Test as Australia chased a potentially decisive 2-0 lead in the five-Test series after winning last week's Brisbane opener by 10 wickets. Lyon and Mitchell Starc brought off spectacular catches as Australia had England under pressure in the first two sessions Monday. Lyon pulled off a blinding one-handed catch to dismiss Moeen Ali off his own bowling in the second over after the first break. Moeen chipped to the left of Lyon, who flung himself across the pitch in a split second reaction to take the catch. Moeen had scored 25 off 57 balls in a 30-run stand with Jonny Bairstow. Five overs later Bairstow was on his way for 21 after Starc juggled the return catch and finally accepted it behind his back. Lyon finished with 4 for 60 and took over from South Africa's Kagiso Rabada (54) as the leading wicket-taker in the world this year with 55, while Starc claimed 3 for 49. Woakes and Craig Overton dug in to put on 66 for the eighth wicket before Woakes fell to a short-pitched Starc delivery spooning a catch back to the bowler for 36. Overton remained unbeaten on 41. Australia grabbed four wickets in the first session, including key batsmen Joe Root and Alastair Cook. Root shaped to drive Pat Cummins only to send a thick edge to Cameron Bancroft at third slip for just nine. Root only faced 10 balls while Cook, England's other big hope, was deceived by Lyon's flight and edged to Smith in the slips for 37 off 90 balls. James Vince went in the day's second over, edging Josh Hazlewood outside off-stump to wicketkeeper Tim Paine for two. Dawid Malan was the other wicket to fall off an inside edge caught behind to Cummins for 19.